Ice chair with polypropylene shell, UV ray resistant. Colours: orange, green, red, ivory, brown, anthracite grey, blue and black. 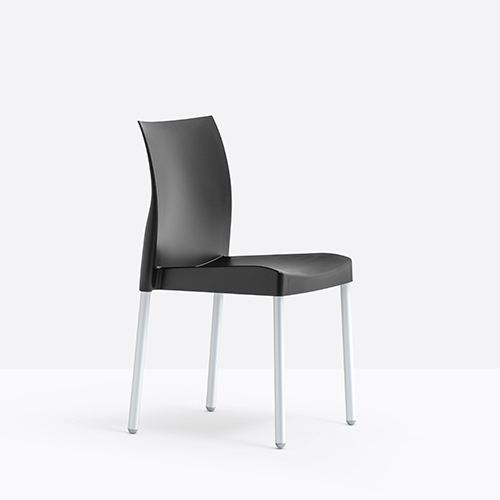 The legs in anodized aluminium tube diametre mm 28 make the chair suitable even for outside use. Ice is light and stackable, suitable for use in public environments. Available with side linking device in grey polypropylene to be applied to the legs making it suitable for meeting rooms.